Not much to say here, only that this is one of those special days when you can imagine the Okanagan morphing into a very warm summer day in Provence. My preference would be a villa on the small lake near Isabelle’s home village. 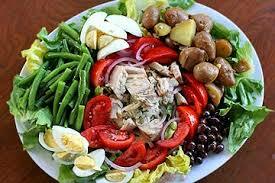 Salade Nicoise seems perfect for a day like this. That’s it! Not to mention a chilled bottle of Chablis or Meursault to wash it down! Not wanting to spoil the mood, but it’s on days like this, you realize how sterile the Okanagan is compared to more civilized places in Canada, the US and Europe. Yes, the weather is great, the scenery wonderful on a macro level, but where is the soul that makes a region truly magnificent? 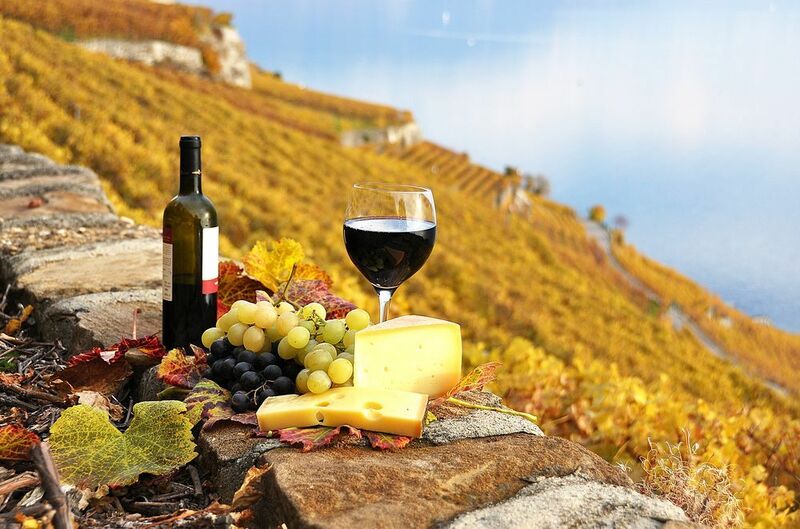 If we were in Provence, we could drive to one of a hundred small restaurants where we could get that Salad Nicoise and the chilled Chablis while overlooking scenery and history far more wonderful than this. Just like wines, regions need ‘terroir’ to make them great; totally missing here and the locals just don’t get it. My preference would be a slightly chilled Montrachet, white Burgundy, a slice or two of Tomme de Savoie, apples and grapes. You have hit a nerve on the lack of local “soul.” Some of this has to do with protection of the Okanagan wine industry from real competition. NAFTA is a misnomer. California wines carry a 70% tariff here despite NAFTA, so there’s no local incentive to compete. With very few exceptions, I must also admit that this region for all the money that resides here, lacks the “feel” of Yountville or Rutherford…The French Laundry, Brasserie Bouchon, Bistro Jeanty…and Oakville Grocery, the finest delicatessen in the Napa Valley, and the brainchild of two Stanford MBA’s.. Provence is in an entirely different dimension. I need go nowhere except on “market day,” and just soak up the atmosphere. When I wrote the post, I was fantasizing and squinting my eyes so as not to see all the warts here. (smile). The local vintners’ marketing association should be grateful.